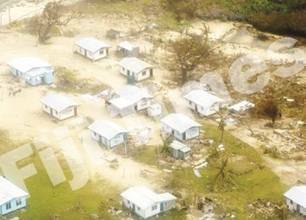 Fundraising efforts are underway for Cyclone Tomas victims. The appeal by the Fiji Times and the ANZ Bank is the biggest to be launched, so far. The Times says donations can be made at ANZ branches worldwide and that the money wll be distributed through Fiji Red Cross. In another effort, the Concert of Hope organized by the Fiji Broadcasting Corporation will be held this Saturday in Suva, at Albert Park, to raise money for children affected by Cyclone Tomas. Fiji's top bands are performing and the money is expected to help children in the Northern and Llau group. The concert starts at ten in the morning. In New Zealand, a few appeals have started - APNA FM has raised thousands via its radiothon and the Fiji community in Waikato is to meet to see what they can do. The Fiji Children’s Trust is also organising an appeal in Suva tomorrow (Saturday) from 10am to 4pm and again on Sunday from 11am to 1pm, at Patel Centre in Suva. A spokesperson says committee members will be travelling to Vanua Levu to distribute what they collext. He says if peole can help andnthey're outside of Fiji, you can make a small contribution via paypal for groceries. In my initial posting on various Fiji pro-democracy blogs, I put the case that, for the good of everyone, Bainimarama’s dictatorship over Fiji must be brought to a non-violent end as quickly as is humanly possible. I also sought suggestions from other bloggers as to how this could be achieved. And I reported that I had a few ideas myself and I pledged to develop them and report back. I have been disappointed by the response (only Keep The Faith from “Intelligensiya” got back to me). However I am not discouraged. And, after a great deal of hard thinking, I believe I have discovered the key to the door that could dislodge Bainimarama. In one word , the key is “honesty”, or, in Frank Bainimarama’s case that complete abscence thereof. Honesty is the one quality that Bainimarama has never exhibited in a convincing way. As reported by all the blogs, he has lied about everything from holding elections to returning to barracks. I would go so far as to say that FrankBainimarama is a congenital liar. It therefore follows that someone so dishonest has a criminal mind. And if you hold the degree of power that Frank Bainimara does, what does your criminal mind tell you to do? I think I know the answer to that question. It goes like this: Frank Bainimarama used the charge of corruption as the excuse for his coup, which threw out the Qarase SDL government and installed himself as the major domo over the Fdiji Islands. But the only real evidence of corruption subsequently uncovered was not in the former SDL Government, but in Bainimarama’s own regime. Back when we had a degree of relative meida freedom the story broke; about Bainimaram’s furtive attempt to secretly help himeself to more than $180,000 by calling it “salary owed in lieu of leave.” That act was nothing short of criminal corruption. Then Mahendra Chaudhry, the interim finance minister who had leapt to Bainimarama’s defence over the back pay scam, was revelled to have millions in donations stashed in his personal bacnk account in Australia. The other factor I have carefully considered is the complete lack of transparency and accountability in Frank Bainimarama’s so-called government. It would appear Bainimarama has gone out of his way to throw a heavy shroud of secrecy over every aspect of his administration, from the detailed provisions of decrees affecting business through to details of ministerial salaries. If this situation didn’t already stack the odds heavily in favour of anyone in power wanting to line their own pockets, what about the savage and total censorship of Fiji’s media? Incredible as it might sound, Bainimarama’s complete control of the nation means that he could literally conduct an armed robbery of a bank and not one word would ever be reported about it! Yes friends, I understand fully that Bainimarama appears untouchable and yet I was talking about finding the key to the door that could dislodge him. But, if we know where to look, the key is waiting for us. We are, after all the blogging community, are we not? That’s right, the key is out knowledge of Fiji, our sence of right and wrong and our ability to communicate with each other in a way that will widen our audience to include people and organisations outside Fiji that have an interest in Fiji. That’s how we turn the key in the lock. That’s how we expose Frank Bainimarama to the world. By our concerted efforts in monitoring, recording, documenting and reporting, in every details, the excesses of Frnk Bainimarama’s disgusting dictatorship, the total lack of honesty, we can build the dossier that regional and world leaders will, ultimately, find impossible to ignore. As I reported in my original posting a few weeks ago, I was back in Fiji for the first time in a few years and I was totally overwhelmed by the absolute probablility of economic and societal catastrophe that now hangs over Fiji. To me the situation is clear: Bainimarama is our cancer; the free world (Aust, Kiwi, US and EU) are our doctors. It’s time we started getting clever about getting the right medical help to treat the cancer!